B.R. 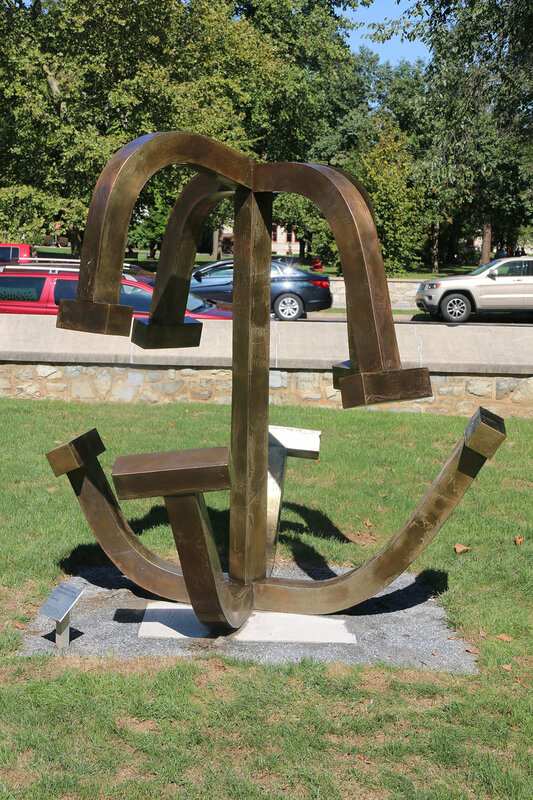 Howard was contracted by Dickinson College to conserve a bronze sculpture “Negotiation”, by Patrick Strzelec. 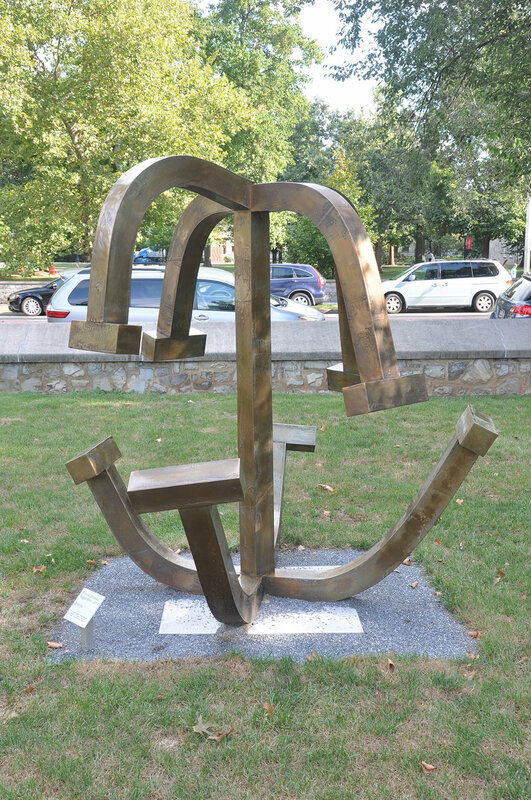 The piece is 9’ tall and 8’ wide and is described by the artist as a representation of the dialogues we engage in--internal and external, trivial and profound—throughout each day. 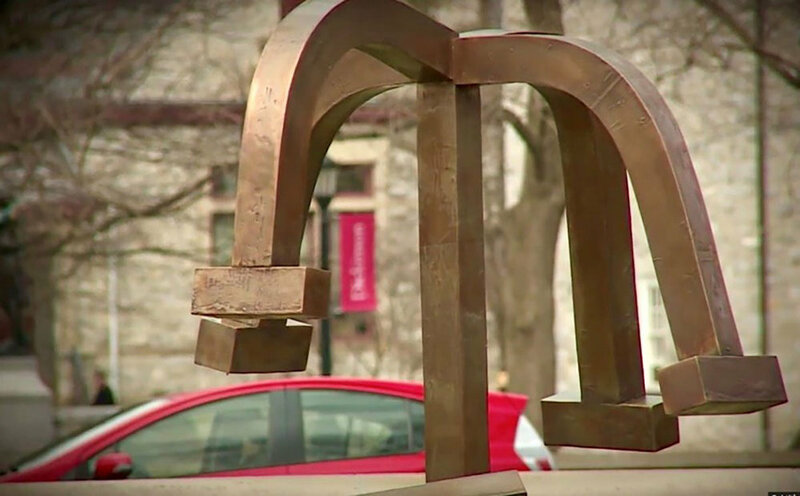 Air pollutants and organic materials, which hold moisture on the surface of the bronze and were observed. Some areas of the lacquer coating were abraded and degrading which attributed to areas of discoloration. 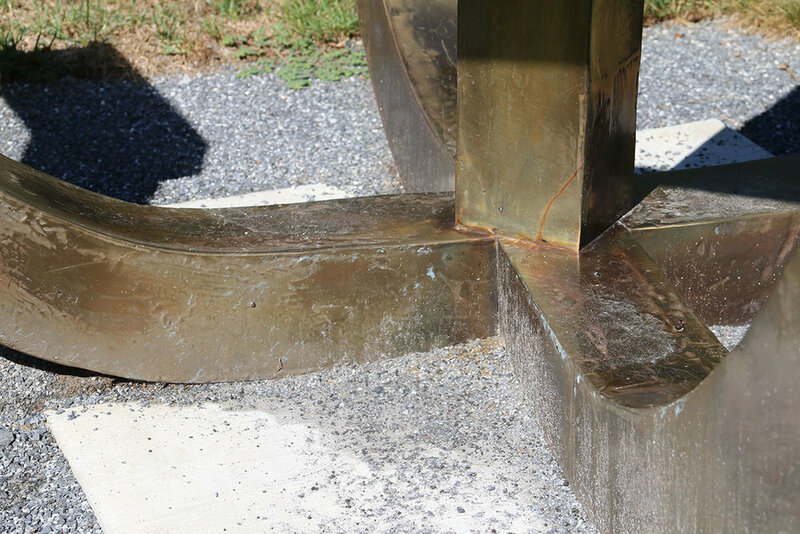 Iron oxide staining was also observed on the surface where the sculpture armature mount was is contact with the bronze around the base. BRH surface cleaned the bronze. The organic materials and pollutants were removed along with the discolored staining from the armature’s mount into the base which was coated to prevent this from happening in the future. The worn and failing lacquer coating was removed. Localized areas of re-patination were applied to tone the bronze that had exposed to the elements before a new protective lacquer coating was applied.